Banana Island Patisseries is a nice cafe that sells delicious pasteries such as muffins, croissants and bagels. Customers can enjoy a quiet time with friends over a cup of coffee or smoothie. 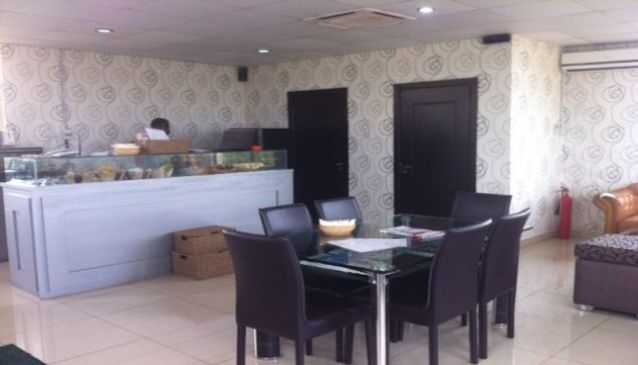 They are located in Banana Shopping Mall, Ikoyi, Lagos. The shop has a BBQ evening every Friday and Saturday with a refreshing beer or champagne. Their outdoor area gives you a lovely view of the city and for those around the bakery, they can take advantage of their tea break services. They are open everyday of the week by 8AM and on Sundays by 12PM.